I am not a fan of going to the doctor. Sure, I know I have to go and it is a good thing to go, but that does not mean that I have to like it. The interesting thing about the doctor’s office is the levels of examination you face while you are there. First there is the examination at reception. The have you fit out the forms, show some ID, answer a few questions and ask if anything is immediately wrong with you. Then you wait a while and go to the second level of examination. That is when the nurse or assistant invite you back to the back and ask a few more question and take your vitals, height, weight, blood pressure all the usual stuff. Again, nothing too invasive just a little more than level one. Then they always say the doctor will see you shortly. When the doctor arrives then the real examine begins. 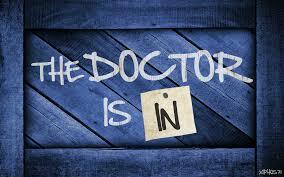 When the doctor arrives, is when the real examine begins. The doctor will look at the chart, check the info that has been given, and even ask some questions, but the doctor is not interested in the externals. The doctor is interested in the internals. So the doctor listens to your heart. Then looks into your eyes. The doctor makes you say “ahh” to look down your throat. All the checking that is done before the doctor gets there is external, but the doctor is interested most in the internals. You see, the doctor knows that no matter what is going on, on the outside the real story is told not from the outside but from the inside out. It is the same way with God. Often times we want to talk about all the external things, but God wants to take a look on the inside. God knows your height and your weight but He’s most interested in your heart. God wants to connect with and see the deepest recesses of your soul as opposed to just talking about the things you know look good on the outside. He wants to make sure that all the good looks are backed up with a healthy soul and a good spirit. So take some time today to let God look into you. You’ll be amazed what He may find.